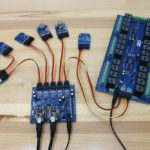 We test all of our products using the BRIDGEX5, which we are now making available to our customers to connect them to a world of sensors and controllers of all kinds. 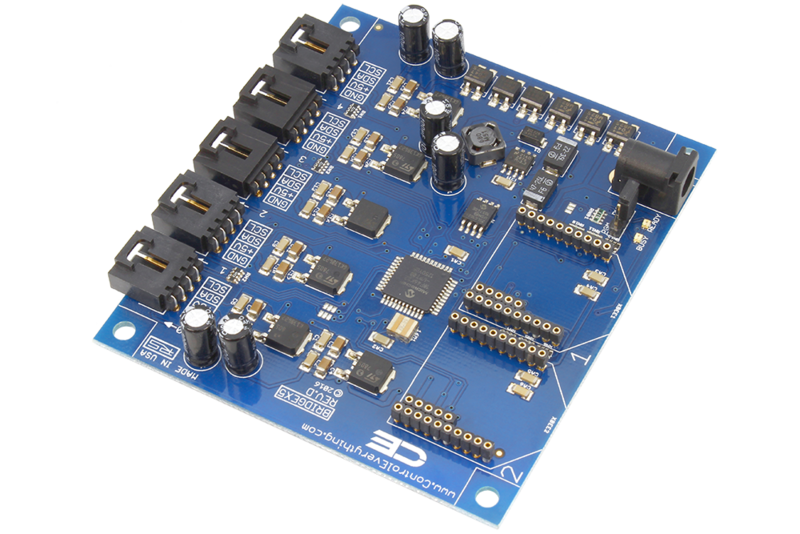 We custom-engineered the BRIDGEX5 for the sole purpose of making I2C easy to use from your desktop PC. 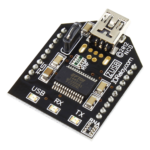 The BRIDGEX5 has two communication ports that are pre-populated with FTDI FT232RL USB to Serial converters. 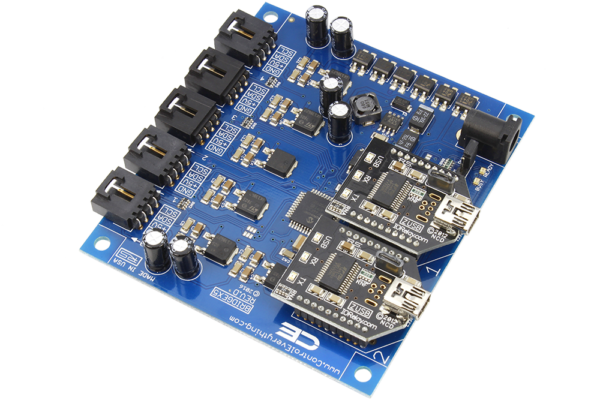 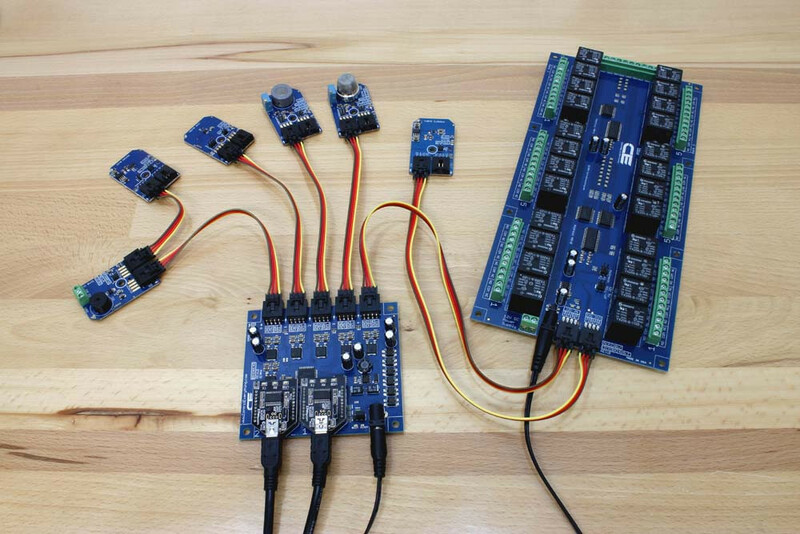 Using simple serial commands, users can send and receive I2C data on 5 different I2C communication ports. 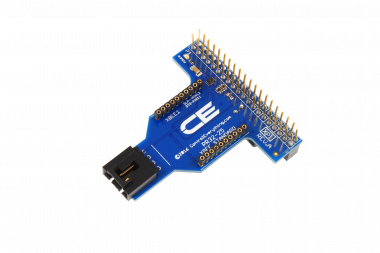 Since there are 2 USB interface modules on this controller, 2 different PCs can take control of all the I2C devices connected to the on-board I2C ports. 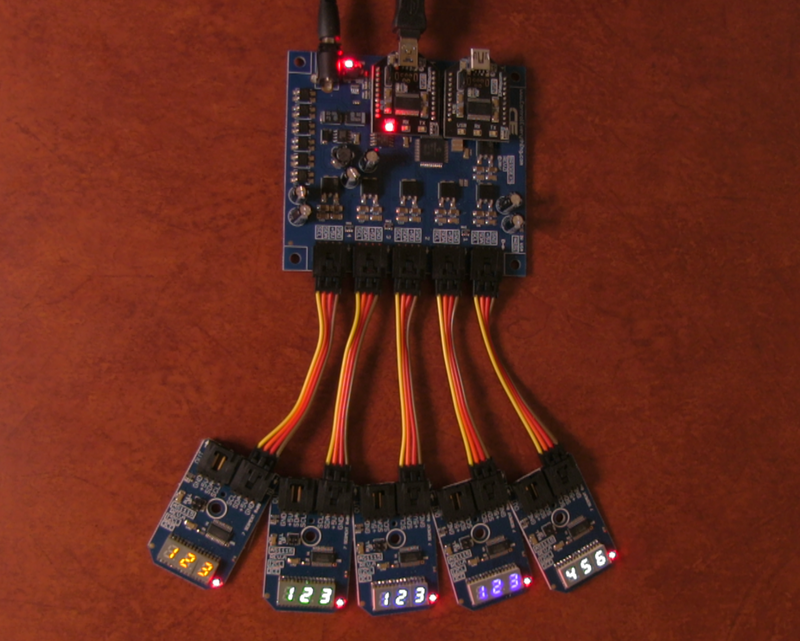 The BRIDGEX5 handles communication, balancing between both computers and all connected I2C devices. 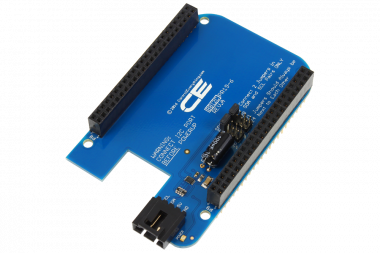 The BRIDGEX5 makes it easy to communicate to just about any I2C device using our FREE AnyI2C software. 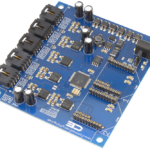 AnyI2C gives you a graphical user interface for many popular I2C chips, and we are constantly developing the library to expand our support to hopefully include drivers for Any I2C device ever created (we have a dedicated programmer who ONLY develops this software!). 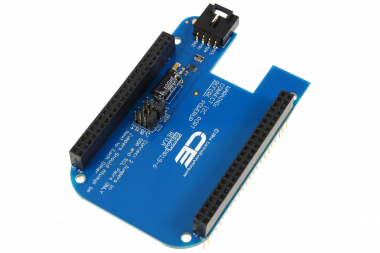 The AnyI2C software framework is fully open-source, so developers are welcome to contribute their own code to add support for I2C chips not currently in our library. The BRIDGEX5 is powered by a custom-programmed PIC18F46K22 CPU. 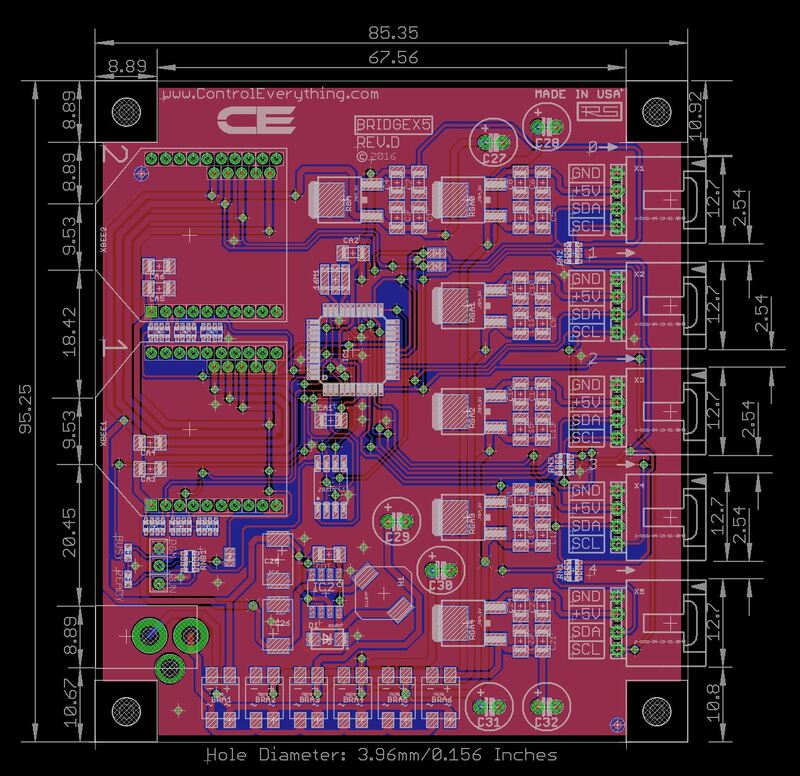 The firmware in this CPU was developed over the course of 2 years as part of another project that began in 2012. 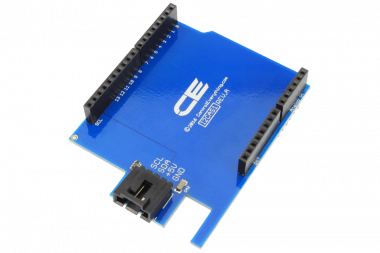 Consequently, we believe you will find the BRIDGEX5 is the most advanced Serial to I2C bridge controller in the world. 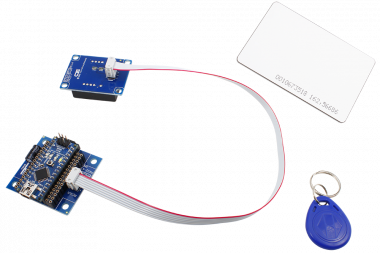 The BRIDGEX5 comes populated with two USB communication modules; however, these modules may be removed, and replaced with Bluetooth, WiFi, Serial, and Ethernet communication modules. 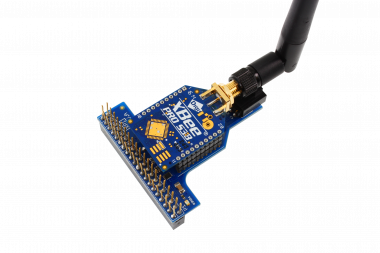 Port 2 of the BRIDGEX5 contains extensive firmware to directly communicate using 802.15.4 Industrial Point-to-Point wireless. 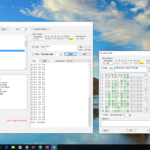 In 2015, additional firmware was added to handle native API communications for S3B Wireless Mesh Networking (www.Digi.com), allowing data to hop wirelessly from device to device until it reaches the intended destination. 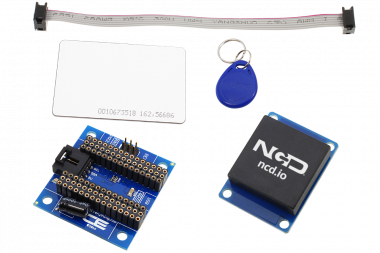 The end result is a controller that has been intensively engineered for the purposes of adapting to some of the world’s best industrial communication protocols, giving you an upgrade path for more demanding applications in the future. 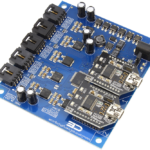 We have reviewed all available serial to I2C converter chips manufactured by other companies before developing the BRIDGEX5. 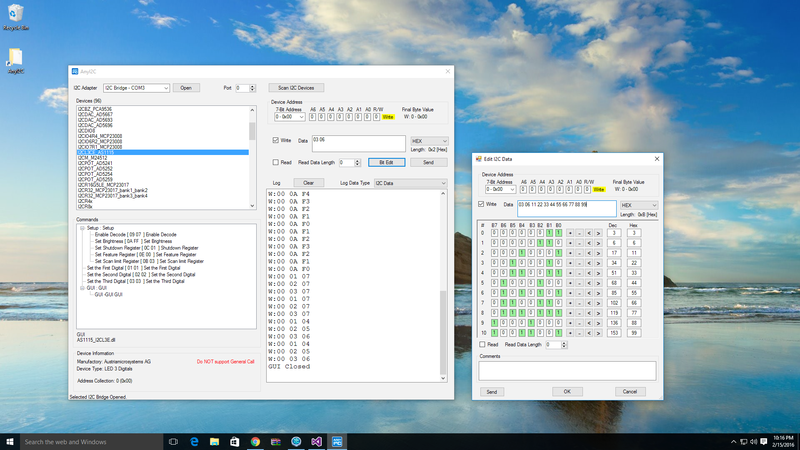 Quite frankly, there is NOTHING on the market easier to use or more powerful than the BRIDGEX5. 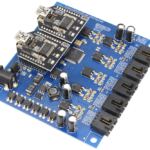 The BRIDGEX5 is compatible with 100% of all I2C chips we have tested. 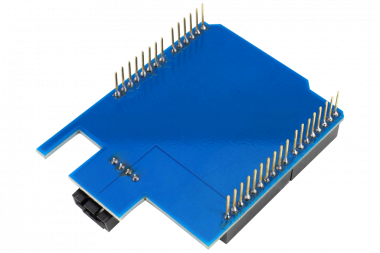 The I2C ports on the BRIDGEX5 are emulated in firmware, and are therefore limited to a fixed 100 KHz operating frequency. 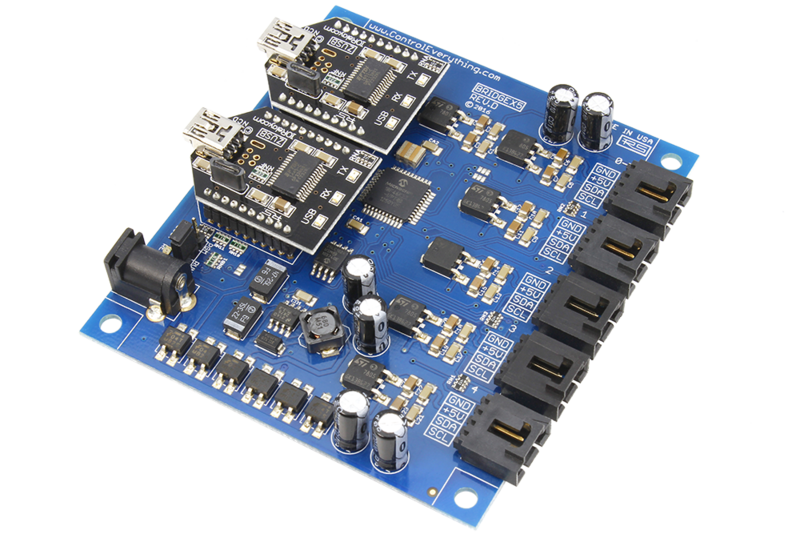 The BRIDGEX5 has a dedicated 5V power supply for each of the 5 on-board I2C ports, providing up to 130ma of current per I2C port. 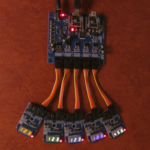 The BRIDGEX5 includes 5 I2C Cables, 2 USB Cables, and 2 USB XBee Modules. 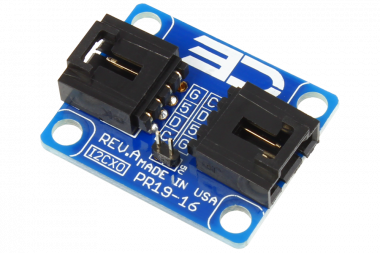 Optional 12VDC Power Supply is available for US or International use. 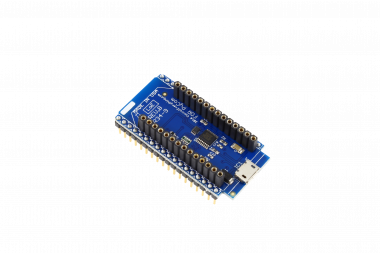 This device will connect to any of our I2C products without an adapter. 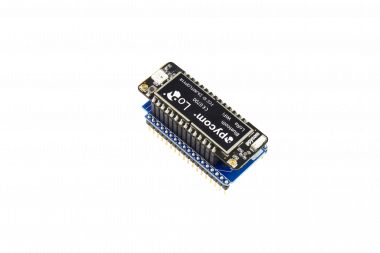 This device will connect to any of our IoT devices when used with the SI adapter.